Uptown 18 is a web portal that sells some of the most funky backpacks we’ve seen in a long, long time and those designs have managed to lure us in with just one look! All of their backpacks, if possible. We lost our hearts to this website the minute we saw those super adorable Nutella backpacks. Yes! These amazingly awesome bags have Nutella bottles all over them. But that’s not all. They have so many cool designs like half boiled omelettes, Oreo biscuits, mustaches, watermelon slices and a whole bunch of other things. These bags are made with waterproof fabric and come in 14, 16 and 18-inch sizes. They also have amazing discounts on them all the time. 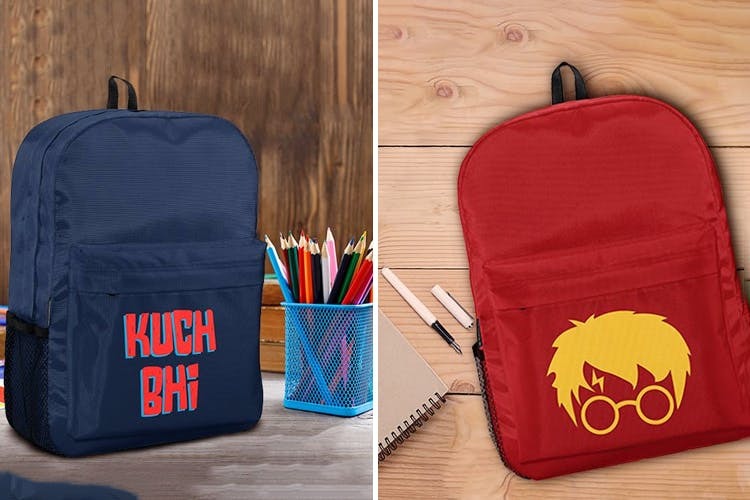 We’re totally getting our hands on these adorable backpacks and we suggest you do too, because if you’re a person who loves all things funky, then these bags will make you just as happy.